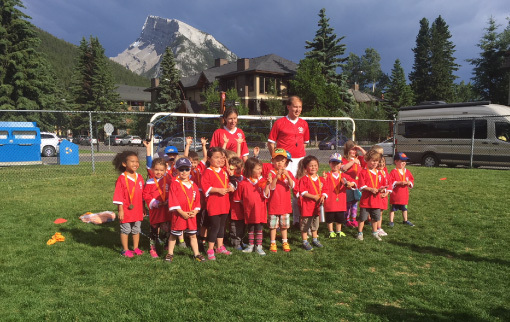 As any sports coach will tell you, when striving towards a shared goal it’s easy to be great team players, which is exactly what can be said about Bow Valley KidSport and the Wim & Nancy Pauw Foundation. For both non-profit organizations, getting local kids moving and flying the flag for healthy, active lifestyles is the name of the game – and now, with a $15,000 donation from the Pauw Foundation, Bow Valley KidSport is well on its way to ensuring that all local kids have the opportunity to get involved in organized sports. Despite being a hub for athletic success, and with many local youths making their way all the way up to national podium level and Bow Valley sport star status, being able to take part in a team or get your footing in a competitive sport, isn’t a reality for all kids living in Banff and Canmore. The seasonal costs and ongoing financial commitment that comes from youth sport participation, is sometimes a deal breaker for families, preventing a young person from having a fair shot to play. 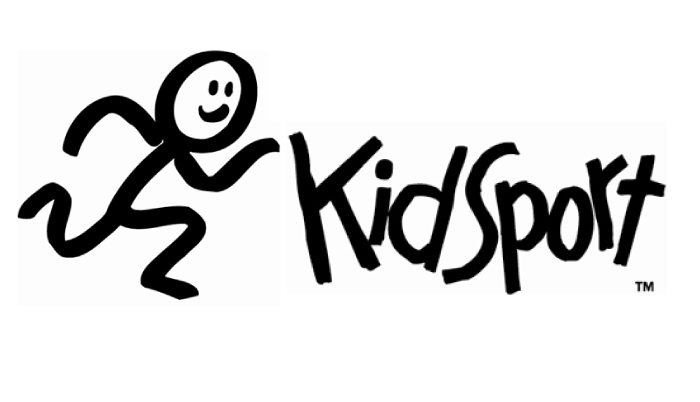 This is where KidSport comes in, making it their mission to have no kid left on the sidelines. Through annual fundraising and advocating the importance of youth sport across the Bow Valley, overcoming financial barriers to getting kids playing is the organization’s #1 focus – and it was this passionate drive to making youth sports open to all that stood out to fellow community sports ambassadors, the Wim & Nancy Pauw Foundation. Established in 2013 and founded by long-term Banffittes and avid outdoor enthusiasts, Wim and Nancy Pauw, the Foundation that bears their name stands for creating fair and diverse opportunities for residents within the local community – particularly youths – to be active, get outdoors, embrace activities, and experience the richness of a Bow Valley mountain lifestyle. 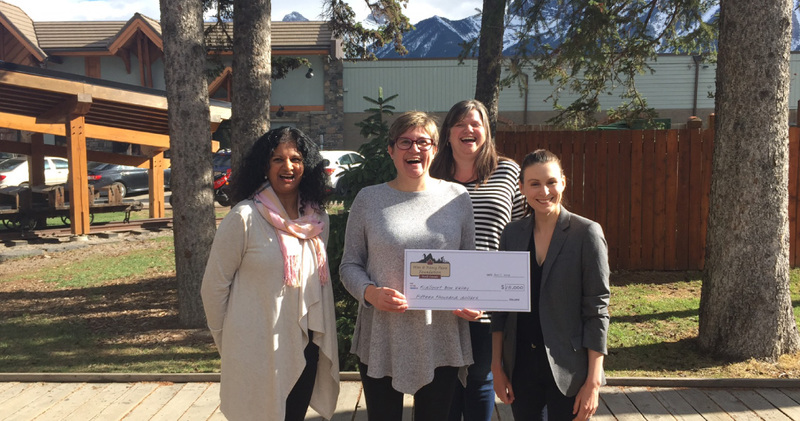 Recognizing that the KidSport mission had a strong alignment with its own purpose, the Foundation saw an opportunity to further enhance the work of the organization; committing to a $15,000 donation to increase the impact that could be made to the health and wellbeing of kids across the Bow Valley. “I recall Wim and Nancy saying that they really want to make a difference, by opening up activities and sports for young people locally, and that is exactly what KidSport is all about; supporting kids and families to participate in situations they might not be able to otherwise,” says Bow Valley KidSport Board Member, Tara Gilchrist. She continues: “Our whole organization is built upon the fact that barriers to sport are isolating; both to the individual growth of the youth – in terms of missed opportunities to build confidence, self-esteem and develop physical literacy – but also, without sports, families don’t have the same opportunities to connect. Sports bring communities together, it’s about much more than the activity itself. The $15,000 donation recently made to KidSport will remain entirely in the Bow Valley, to contribute to the organization’s ongoing efforts to remove the financial barriers to sport and fund youths to get involved in physical activities – and according to KidSport, there is still much work to be done. “We continue to watch the needs grow; seeing the many local families that depend on our organization, and the number of grants we give out within the community consistently increasing every year. 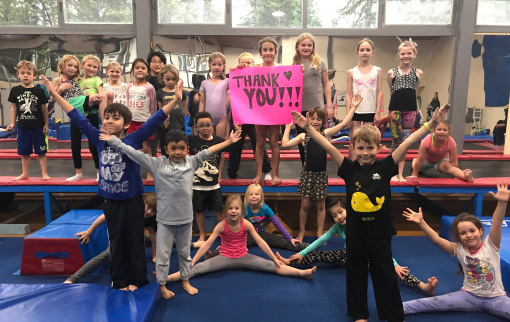 This donation from the Wim and Nancy Pauw Foundation allows us to continue to meet the needs of supporting sports participation across the Bow Valley, without needing to reduce the amount of funding each child is eligible to receive,” Tara adds. Last year alone, KidSport enabled local youths to partake in programs and activities at 28 different Bow Valley organizations, across 21 different sports, from competitive swimming to hockey; providing 168 individual grants to local kids. For further information on the funding available to local families, and to submit an application, online here. In 2018, more than $350,000 has been approved for disbursement to the Wim & Nancy Pauw Foundation’s Pauw Programs, each of which meets one of three pillars: Active Youth, Education, and Community Building.